Oba Yashiro, the notorious con artist who made his name known throughout Japan. His life burned out on the bad luck, and he was reborn in a big city where you can’t lie. In this world where liars are turned into frogs by the Spirit God who hates lies, Yashiro makes use of his silver tongue and the skills he cultivated as a con artist to rise up. The story of a hero who was reborn in a different word, using his modern knowledge and quibble as weapons to help a big-breasted beautiful girl in rebuilding a destitute restaurant and improving the living environment of the bottommost district. As people can tell from the high rate of a one star rating, those were all justified due to the fact that the old translator LAQD as set up paywalls and he expects you to be fine with machine translations which is a terrible idea. But right now Sabishii Desu took over and I would like to say give this novel another shot with his translations, unlike the old one, sabishii actually puts in the effort to translate. If youre expecting some great adventures or isekai stuff about power levels and such then you are looking in the wrong novel.. The action and adventure is also nonexistant. So expect no less. This is a slice of life novel with a bit of comedy. 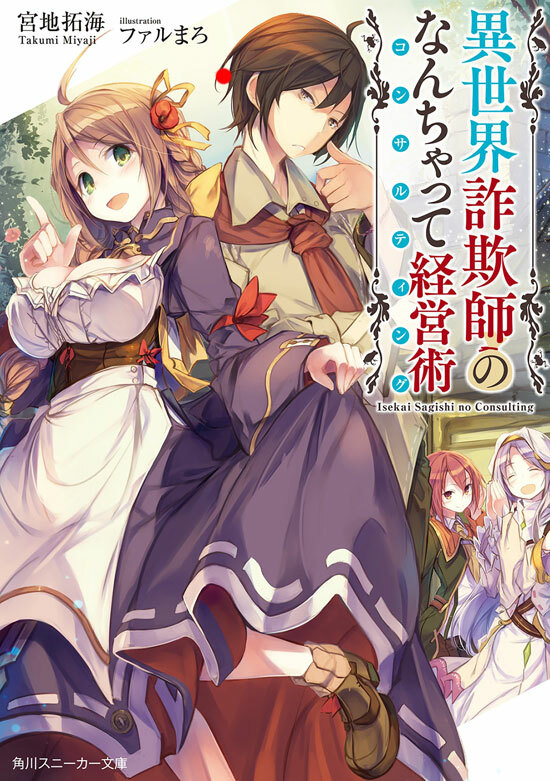 ... more>> The MC plays a role as a consultant in an isekai settings. Theres a lot of problem solving arcs about everyday troubles ranging from a bankrupt shop owners, monoplistic merchants, noble's society problems, racism between race and all other everyday stuff.. The MC did so in the name of his own profit while in the process, helping people's life to be better overall.. There is romance, but it is a very slow one.. The characters also grow in a good way over all the troubles that happens.